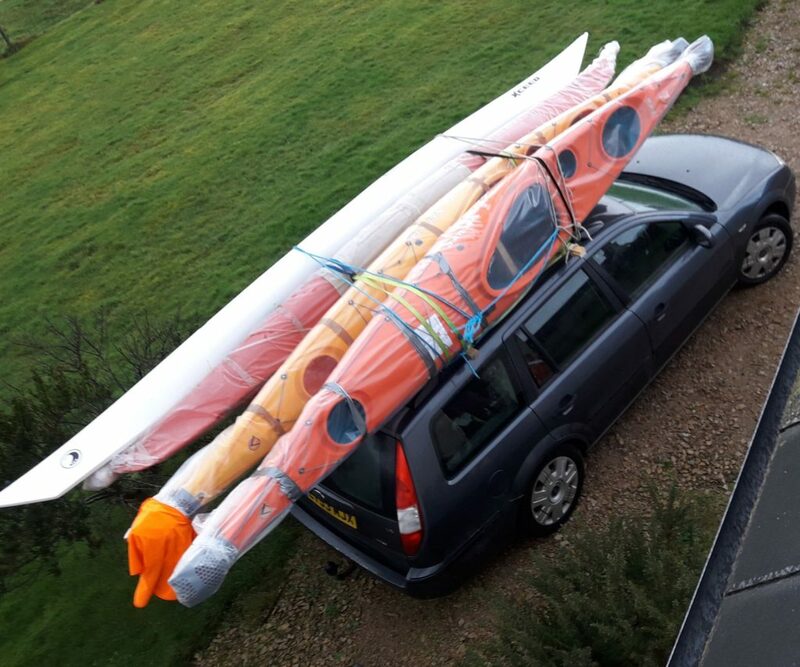 Arran Kayak Club members are in a buoyant mood with the purchase of three new kayaks for the club and hope to purchase three more before summer. Testing the new kayaks at the club’s winter facilities at the Auchrannie swimming pool, members were delighted that there would be more kayaks for members and visitors to make use of. 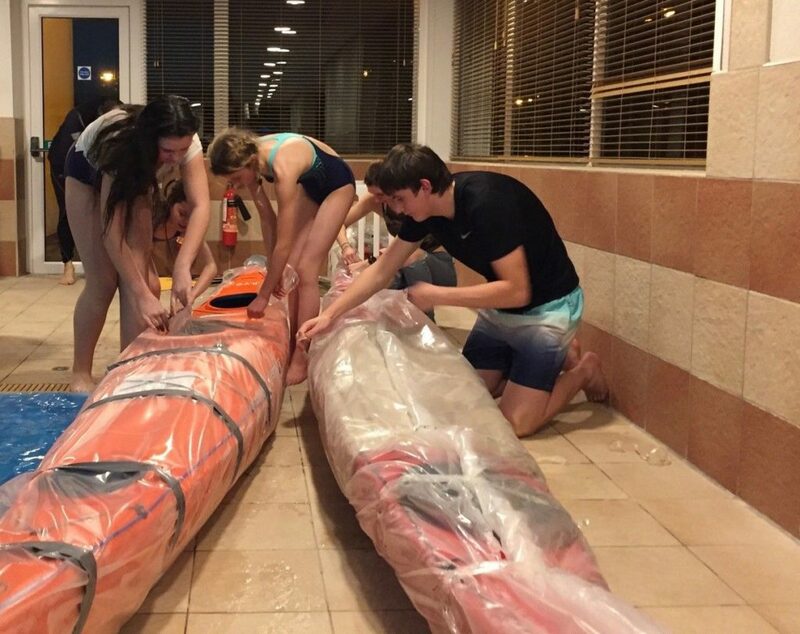 The excitement of receiving the new quality kayaks was barely containable for some and when they were presented to club members they took the opportunity to immediately put them to the test, still with their wrapping on. Club members then checked their buoyancy with all paddlers climbing on top of them. It was possible, just, to submerge the smaller Northshore Atlantic but the larger Valley Jura boats remained afloat. 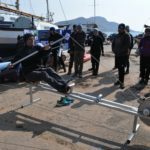 The new club sea kayaks will enable members without their own kayaks to join in with the sea sessions which are run every Thursday evening through the spring and summer, from Thursday April 11 onwards. 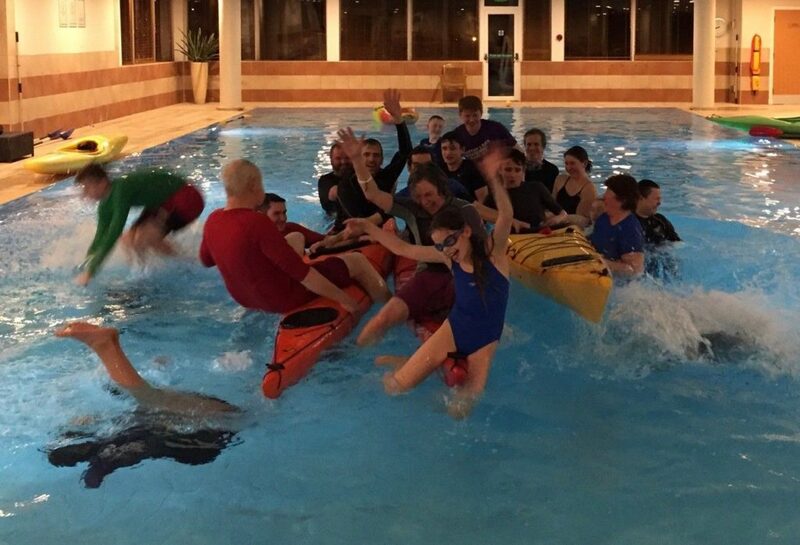 For winter training though, kayak sessions are held in the indoor pool on a Friday. 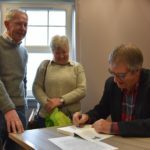 The club are also jointly organising an event with the Arran Mountain Festival when Will Copestake, who kayaked round Scotland then climbed all Munro peaks at 23, will give a talk on his adventures. This is due to take place on Sunday February 24 at the Arran Outdoor Education Centre, Lamlash. Anyone interested in joining the club or learning how to kayak can contact kayakarran@gmail.com for more details.